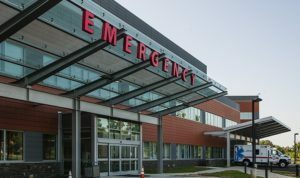 Marketing RX: Marketing lessons from my recent hospital experience. Where have I been? It was a rough start to the summer. On June 1, about three hours after I had my usual lunch salad, I was overcome with nausea. No need to get graphic with how I spent the weekend. But after getting on the scale, having lost another 10 pounds in four days (after losing 20 in the previous three months without trying – should have been my first clue) – I knew something was wrong. Long story short I went to Urgent Care thinking I would get a shot for nausea and be on my way. The next thing I knew I was in the Emergency Room, doctors and nurses and IVs and chaos everywhere, then to ICU for 24 hours. My glucose was a sky-high 650+ and I was dangerously close to having a stroke or slipping into a diabetic coma which has a 50/50 chance of recovery. I had diabetes. What? Diabetes does not run in my family, I eat healthy, am active, walk everywhere and was not overweight. I have never touched a cigarette in my life. This made NO sense. Doctors were stumped at first, but we think this was triggered by a virus I’d had earlier in the year. I have Latent Autoimmune Disease in Adults (LADA) also referred to as Type 1.5 diabetes. While in the hospital, there was much time to think and I thought about how my experiences there could be applied to marketing. So I’ve created a series of brief posts. Below is my first. Timing is everything: The first few hours in the hospital, and in ICU, I was somewhat delirious from being so sick. I was overwhelmed because SO many doctors and nurses and residents kept coming in to ask questions, tell me what was wrong, what I needed to do, chastising me for being horrified about having to inject myself with needles (I’m talking to you blonde lady doctor who needs some training in being nice), asking me about my health history, moving me here and there, sticking in needles and IVs, hooking me up to machines and electrodes, that I couldn’t absorb any of it. I had no idea what they were talking about and retained little of what they told me. And don’t get me started on the catheter twins. (I did anyway because they pissed me off – see below, at the risk of TMI ). Marketing lesson: Make sure your client is open and ready and receptive to hear what you have to say, e.g. not during a crisis. If the timing isn’t right, they won’t be ready to invest the time or money in PR or marketing. That isn’t to say educating potential new clients who may need your services down the road isn’t helpful, but I don’t recommend investing a lot of time in proposals and plans when a company is clearly not ready to commit to PR and marketing programs and campaigns. #1 – part b – read at own risk and comfort level of ewwww. OK – I’ll tell. Two similarly sized residents – they looked like twins, but again, I was sort of delirious – stood on either side of my bed insisting I had to have a catheter to measure urine output. For the record, I was not immobile and just needed to un-tether myself from the IV stand to go to the bathroom. I asked why I just couldn’t pee in a basin and then have it measured. They said they needed it for night. I told them I didn’t pee in bed at night at home so why would I do it at the hospital? They ignored me and kept mumbling about yes, catheters, yes, yes, catheters and they exited the room in unison like brunette Children of the Corn. I yelled at them that if they wanted to practice inserting those awful catheters to do so on themselves! Even the attending doctor questioned why that was written on my chart. I told him no worries – I was not going to allow it anyway. And yes, you can deny services in the hospital. See where our clients are featured in the media.